I love pulled pork and so does my family. In fact when our four children graduated from high school, Mike insisted that we make pulled pork for all of their parties. It was a hit with each party. Everybody enjoyed it and it was easy to make. There are so many things that I love about pulled pork, but the list would take forever to write. One of the many things is the easiness of making it. I normally roast pork tenderloins with salt and pepper to taste and after I have pulled the meat apart I add dried onion soup mix to it. 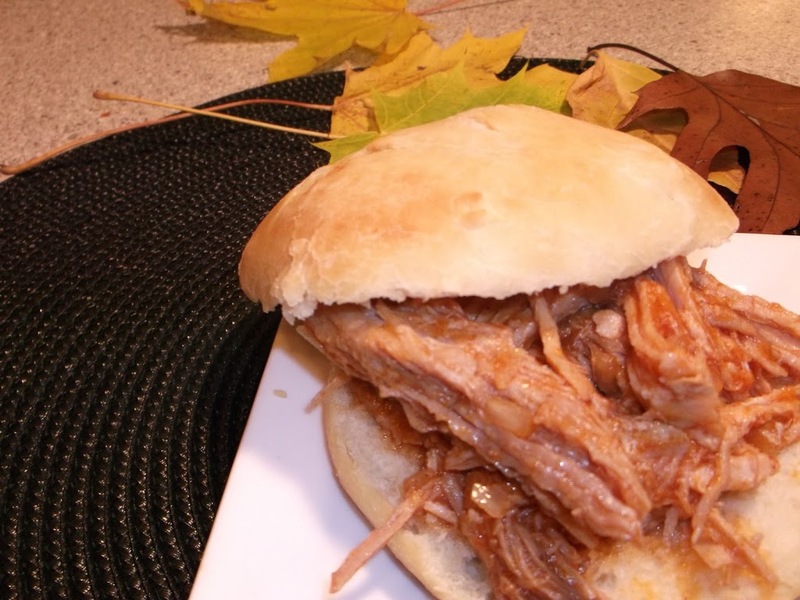 This method makes a delicious pulled pork sandwich. But this time I thought I would change it up, I thought some BBQ sauce would be a good touch. I decided to make the BBQ sauce recipe that I usually make for BBQ ribs. It is quick and easy. If you are looking for a spicy BBQ recipe, sorry this one is not for you. Not that this one isn’t full of flavor. This BBQ sauce is sweet and tangy; which comes from the brown sugar and the Worcestershire sauce that is in this recipe. I served this with the potato buns that I posted a couple of days ago. It makes for a great combination; my family said that it was an amazing sandwich. Cook the pork tenderloin in a 350 degree oven for about 1 hour to 1 1/2 hours until the meats is no longer pink inside. While pork is cooking prepare BBQ sauce. Once the pork is fully cooked shred meat and put back in to baking dish. Combined the all ingredients bring to a boil and simmer for several minutes. Pour sauce over shredded pork and bake in oven for another 1/2 hour to 1 hour, until the meat is nice and tender. 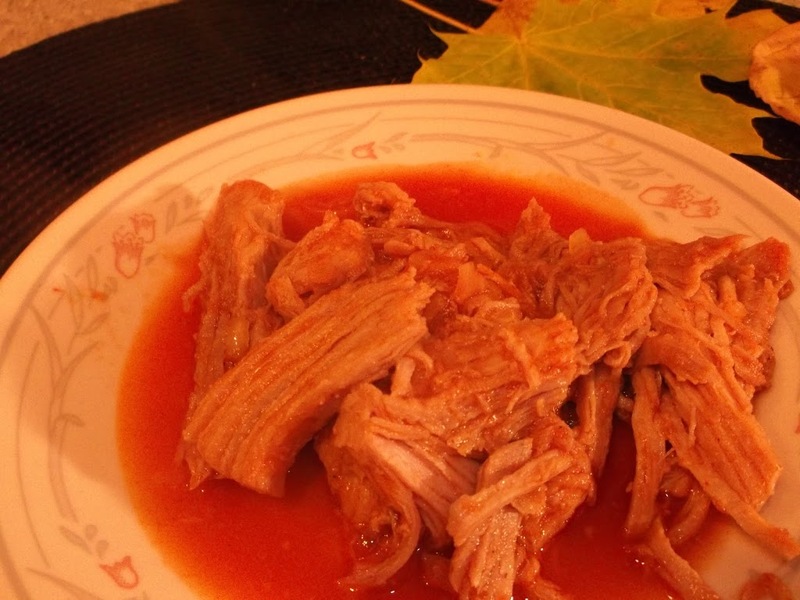 I love pulled pork – it looks fantastic. 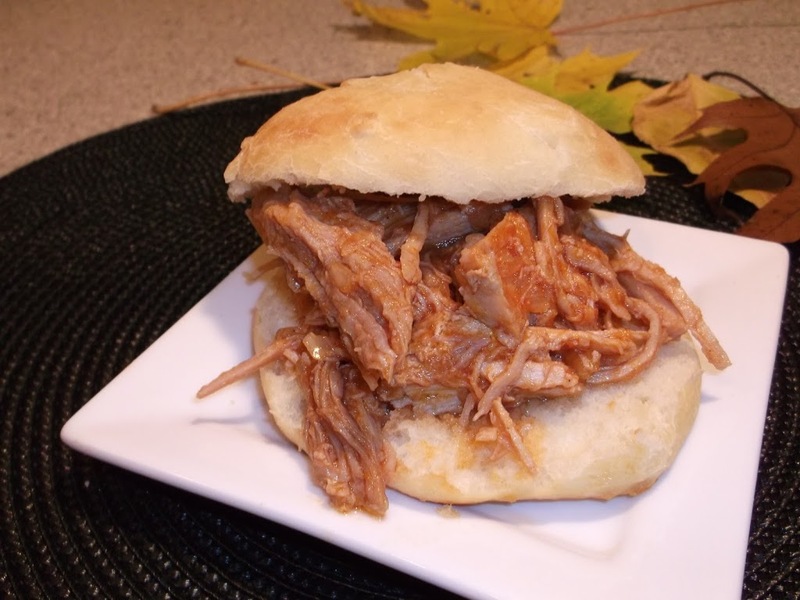 Your pulled pork looks excellent – I love it with barbecue sauce! Homemade buns make all the difference.